Book a hotel in Valverde. Check the best hotels in Valverde offers and book now your hotel in Valverde at an incredible price. Select your dates and confirm your hotel availability. For more details click on each hotel. 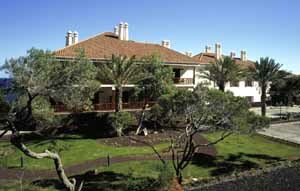 La Burbuja 1 2 y 3 is set in La Torre and offers a terrace. The accommodation is 12 km from Valverde. Speaking Spanish and French at the 24-hour front desk, staff are always on hand to help. Holiday home Erese Alto is situated in Valverde. This holiday home offers accommodation with free WiFi. This holiday home features a living room and a fully equipped kitchen with a microwave and a fridge. A TV is available. Studio Calle Santiago is situated in Valverde. Guests have access to free WiFi. The apartment features a TV. The accommodation is fitted with a kitchen. LA burbuja 1-2 y 3 is situated in Valverde.